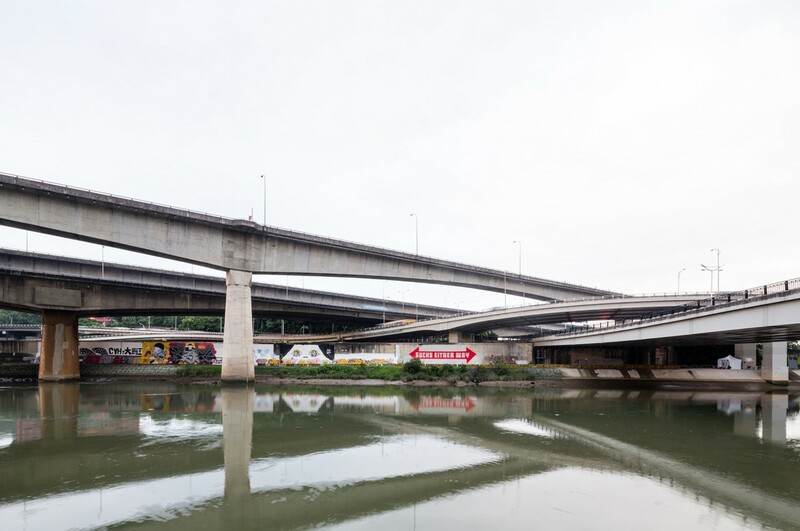 The Riverside wall with murals by Skewville, CYH Jayson, Saym, Chou Yi, Flyflyfly and Seazk for POW! WOW! Taiwan 2014.